Bernard “Bernie” Sanders is a Jewish American politician and the current junior Senator from Vermont. He is married to Jane O’Meara Sanders; they have four children. Sanders (born September 8, 1941) was born in Brooklyn, New York, the son of Polish Jewish immigrants. Sanders graduated with a B.A. in political science from the University of Chicago in 1964 and afterwards spent time working on a kibbutz in Israel. Later that year he moved to Vermont where he worked as a writer, documentary producer and researcher. Sanders’ political career began in 1971 when he joined the anti-Vietnam War Liberty Union Party (LU) in Vermont. He ran in and lost multiple elections for a seat in the U.S. Senate and in 1979 eventually resigned from the LU and began working as a writer and producer of the American People’s History Society. From 1981 to 1989, Sanders served as mayor of Burlington, Vermont’s largest city. His accomplishments as mayor included building affordable housing, revitalizing the city’s waterfront and downtown, initiating arts, youth and women’s programs and increasing voter turnout by more than 50 percent. Burlington was recognized as one of the three most livable cities in America, and Sanders was chosen as one of the 20 best Mayors in the country by U.S. News and World Report. In 1988, Sanders ran as an Independent for a vacant seat in the U.S. House of Representatives but places second to Republican Peter Smith. In 1990, Sanders ran again and this time defeated the incumbent and became the first Independent elected to Congress in 40 years. Sanders was reelected seven times, making him the longest-serving Independent in the history of the House of Representatives. 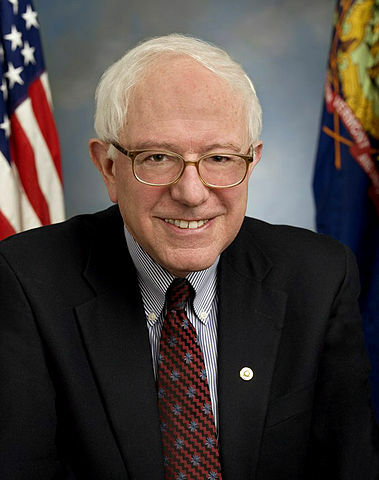 In November 2006, Sanders was elected to the Senate as the junior Senator from Vermont. In 2012, he was re-elected to his post, garnering 71% of the vote. The major issues he has confronted in the Senate include progressive tax reform, national health care, cutting military spending and affordable housing. For many years the identity of the Kibbutz Sanders was involved with in Israel remained a mystery, but in February 2016 an article in the Haaretz archive from 1990 was uncovered in which Sanders told israeli Intelligence correspondent Yossi Melman that he stayed on Kibbutz Sha’ar Ha’amakim in the North. Bernie Sanders announced that he was running for President on May 26, 2015. Running on a progressive platform of increasing taxes for the wealthy and expanding social services, he is currently polling in second place for the Democratic Party nomination. He effectively tied Hillary Clinton during the Iowa Democratic caucus, and gathered an unprecedented amount of momentum during late 2015 and early 2016. Bernie Sanders made history on February 9, 2016, when he became not only the first Jewish individual, but the first non-Christian individual, to ever win a Presidential primary in the United States. In the New Hampshire primary Bernie received 60% of the vote and 13 delegates, and Hillary Clinton received 38.3%. Bernie carried every demographic group in the primary. In July 2016 Bernie went on to become the first Jewish person to ever receive an electoral vote for President, from a faithless elector at the Democratic National Convention. Bernie Sanders lost the Democratic Primary to his opponent, Hillary Clinton, who went on to lose the general election to Republican challenger Donald Trump. When the Electoral College convened on December 19, 2016, a faithless elector from Hawaii cast her vote for Senator Sanders instead of the winner of the Democratic primary, Hillary Clinton. With this, Sanders became the first Jewish individual to ever receive an Electoral College vote for President of the United States.